Cost to install a suspended acoustic ceiling varies greatly by region (and even by zip code). Get free estimates from soundproofing contractors in your city. Cost to install a suspended acoustic ceiling varies greatly by region (and even by zip code). How much does it cost to install a suspended acoustic ceiling? According to Armstrong.com, the cost of a new suspended acoustic ceiling 1 for a 10'x12' room is between $50 and $200 in materials. This does not cover the installation and purchase of the suspension system, however. For this discussion we will examine the requirements, materials, and costs for an installation of a suspended acoustic ceiling 1 in a 10'x12' bedroom. Generally, this is considered a relatively easy DIY project because the grid systems are leveled as they are installed, and this means that uneven joists or even some sagging ceilings can be easily concealed by the installation without a lot of preparatory carpentry. The only additional work or costs for such a project include the removal of a pre-existing system of grid work 2 and tiles as there is no way to install safely over such materials, and the re-installation of moldings that abut the preexisting ceiling. All suspended light fixtures mounted through sheetrock 3 or tiles must be removed prior to the beginning of the project too. If electrical wiring is a concern it may be a good idea to pay an electrician for a few hours of time. The costs for this would average between $75 and $125. Installation - Any installation is going to first require that a grid work 2 from which the panels are suspended is properly installed. The grid work 2 requires a series of cross beams and main beams. For this project, there is the need for six beams at 12' lengths which cost an average of $6 each. 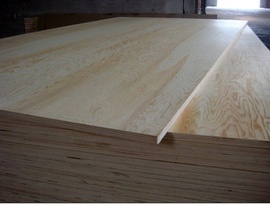 There is also the need for twelve 24" cross tee sections at an average cost of $1.50 each. Boxes of acoustic tiles will vary in size and style, but for this project we will use a sturdy and durable 24"x48" contractor tile. For a box of ten the cost is roughly $40, and this project requires around twenty tiles, for a total cost of $80. Many home and property owners find that the replacement of subflooring 4 is beyond their skill level and hire a carpenter to install any new floor joists and to lay the new plywood 5. 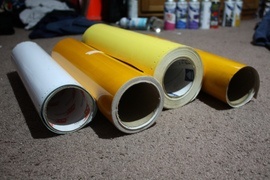 This ensures that no problems with nails working their way through the new vinyl 6 will occur as well. The average carpenter will charge between $20 and $35 per hour, and should need no more than a few hours' time to complete such a project. 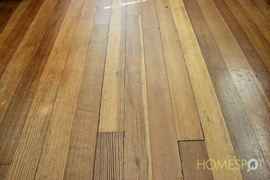 It is best to remove the old flooring before they arrive as this is an uncomplicated project that can also take up several hours itself. How much does it cost to install a suspended acoustic ceiling in my city? Cost to install a suspended acoustic ceiling varies greatly by region (and even by zip code). To get free estimates from local contractors, please indicate yours. Cost Considerations: To hang a 10' x 12' acoustic ceiling, the grid work would cost about $36 for 6 beams and about $18 for 12 cross tee sections. 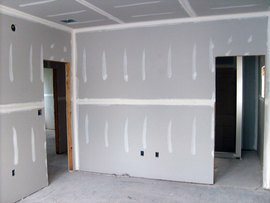 Cost Considerations: The materials needed for drywall installation are relatively inexpensive. The most expensive part of the job is the labor. 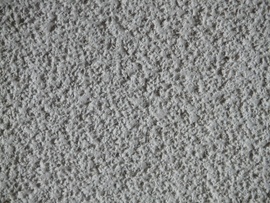 A sheet of drywall costs about $9, and the average labor cost for installation is $30 per sheet.